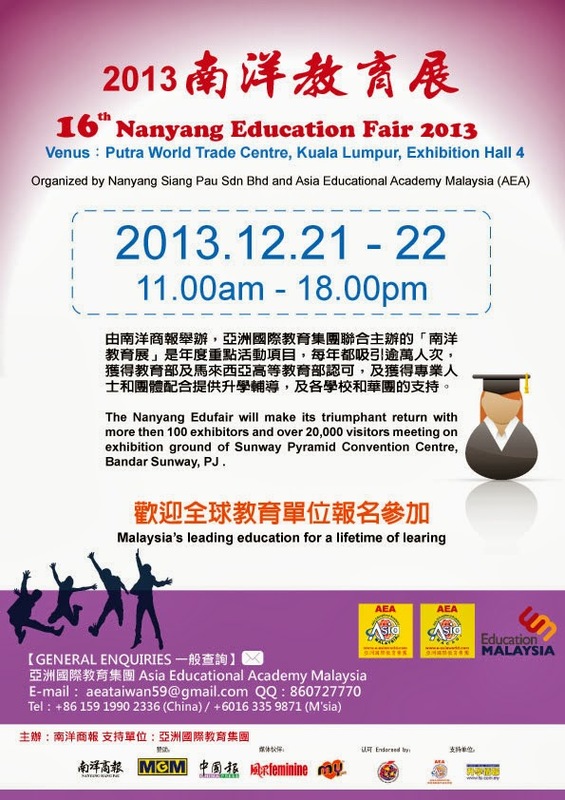 We would like to invite you to a Nanyang Education Fair 2013 at Putra World Trade Centre, Kuala Lumpur, Exhibition Hall 4（PWTC） on 21th(Sat) ~ 22th (Sun) December 2013.
is recommended to take better location. We would be delighted and honored if your college could be represented at the fair. Please, reply by emailing to aeataiwan59@gmail.com before 2013.11.15.